Thailand, the Land of Smiles, is renowned as a holiday destination for many types of travellers, the party animals, the adventurers, the sun worshipers, as well as the culinary kings and queens. 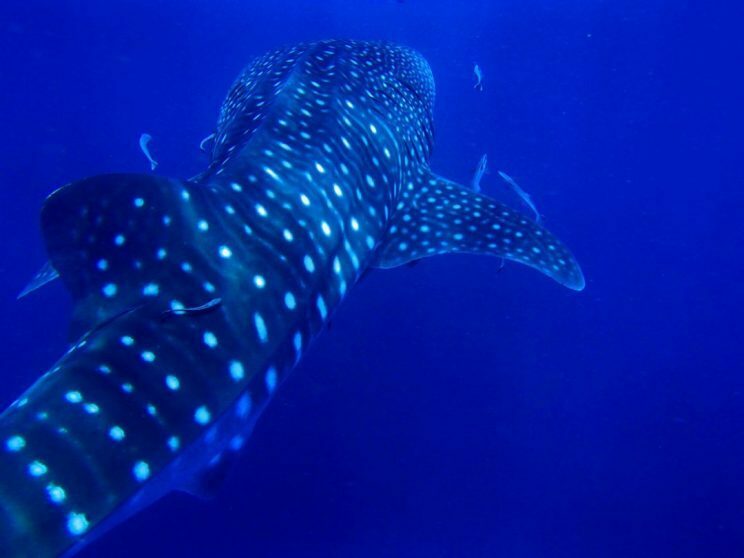 But Southeast Asia is a big place with plenty of diverse and exciting opportunities for travellers, so let’s focus on the unique experiences you can have only in Thailand. 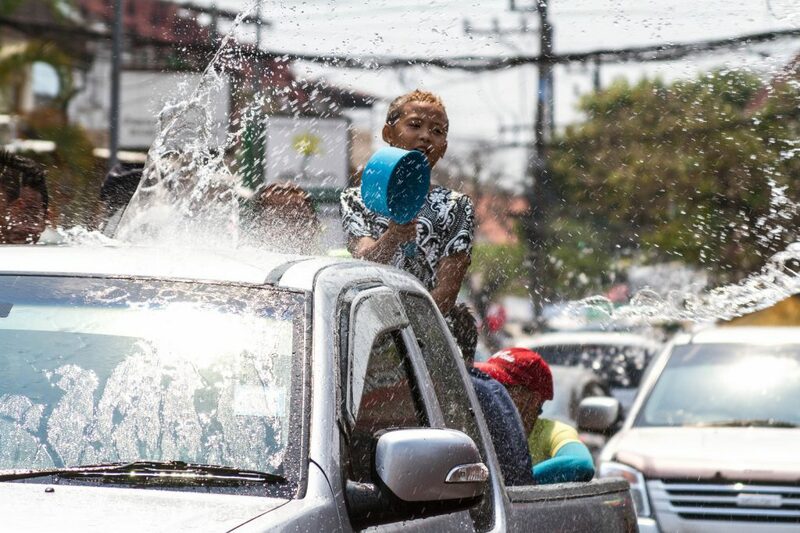 Songkran, the Thai New Year, is celebrated on the 13th of April every year, but also includes the 14th and 15th of April too. It aligns with the Buddhist or Hindu calendar and is a celebration of traditions and ritual, with many Thais coming together as family during this time. Water is poured over Buddha statues as a means to purify and cleanse away sins and bad luck, but these water rituals are taken one step further by the younger generations too. Streets are closed to vehicles and fully-fledged water fights take place, using water pistols, buckets of water, hosepipes and whatever one can find. Trucks filled with water are there for those who want to top up their buckets and tourists need only embrace the celebrations as there is little chance for escape! 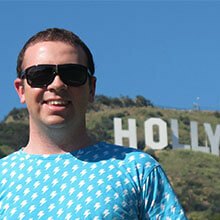 In fact, you might find as a tourist that you become a target for a dousing of festival fun! 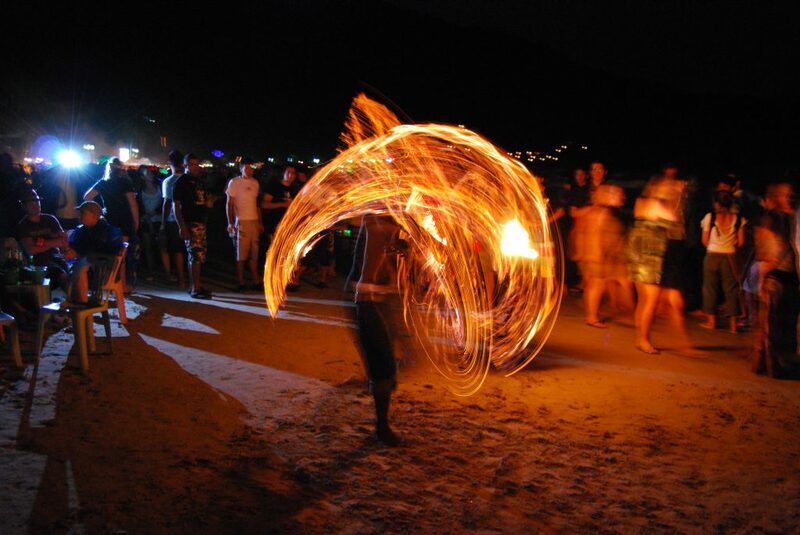 Thailand, and in particular Koh Phanghan, has become famous for its full moon parties. Holidays are scheduled in accordance with the event, accommodation and taxi prices are hiked up and a mass of party-goers descend on the beaches of Koh Phanghan, specifically Haad Rinn, in anticipation of the best night of their lives. It’s a throbbing mass of human bodies, contorted and conjoined as they bounce to beats and party to the light of the full moon. Luminous body paint is in abundance, as are buckets of super-sweet cocktails and up to 30,000 people. A word of warning, it can get pretty crazy so go in a group and make sure you’ve got your wits about you as you howl at the moon. If you’re not at a full moon party on full moon of the 12th month on the Thai lunar calendar (usually in November), then we highly recommend you attend Yi Peng, a part of the Festival of Lights dedicated to Buddha. 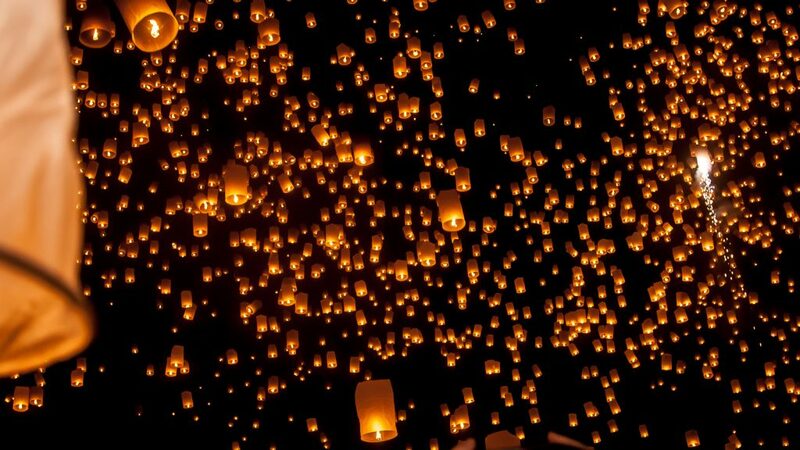 Thousands upon thousands of floating lanterns are released into the night sky during the festival, making it come alive with floating light. It’s another very popular event and droves of tourists flock to see it, so check the dates, find a designated venue and get there early for the magic. Another thing that Thailand is famed for – although you might not realise it until you get there – is Muay Thai. There are countless Muay Thai gyms and studios offering training in even the smallest villages. The bigger towns and cities have fights and major events happening all the time and it’s a huge phenomenon and following for locals. It’s become increasingly popular for tourists to invest in Muay Thai schooling as a holiday, where one to one and group training in the arts of Muay Thai are experienced. Even if you’re a beginner, you can join a school or gym and learn the ins and outs of the sport. Training usually includes a combination of running, clinching, bag and pad work, sparring, and loads of stretching. Not as widely publicised as other waterfalls in Thailand, Bua Tong, about an hour and a half outside of Chiang Mai, is a unique wonder that is as beautiful as it is strange. The waterfall falls over porous limestone rock that water actually seeps out of. The consistency of the rock makes it impossible for algae to stick to it, but perfect for you to stick to when you climb it! In areas where the waterfall and rocks become more vertical, you can assume your Spidey-senses and climb up, using the grip and stickiness from the rock. It’s bizarre, but beautiful! 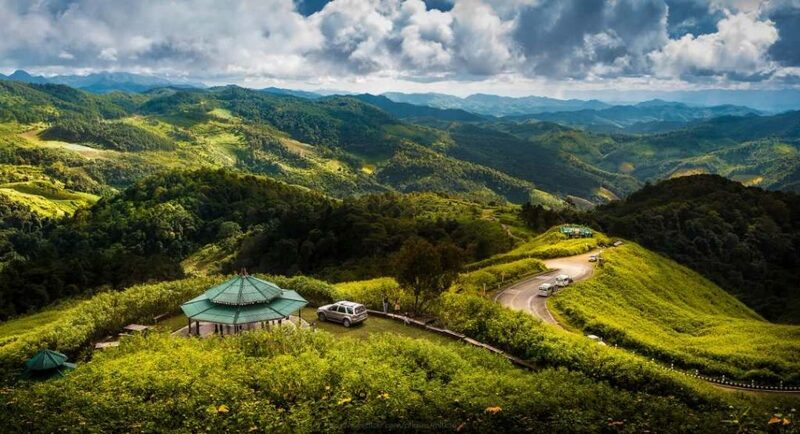 Bua Tong is set in a beautiful location, lush and wild and makes for a perfect day out that is uniquely Thailand. Traveling through Thailand was such a magical experience. Imagine yourself on a scooter, with your backpack, roaming through beautiful rice paddies with your new best friend. Making new friends daily, friends that you’ll keep for a lifetime and have the most profound experiences with. It’s a lovely thing when independent traveler roam through Thailand, because everyone is so free and open to meet new people. I love the independence I can have in Thailand. The cost of everything is so cheap, so I feel like a queen able to spend money on anything I desire, and as well feel free because I can afford to rent a scooter and travel the entire country.